We have two lilac tri Merle pups available who are DWKC registered. One boy and one girl . These pups are absolutely stunning and very rare and unique in both blood line pedigree and colour. 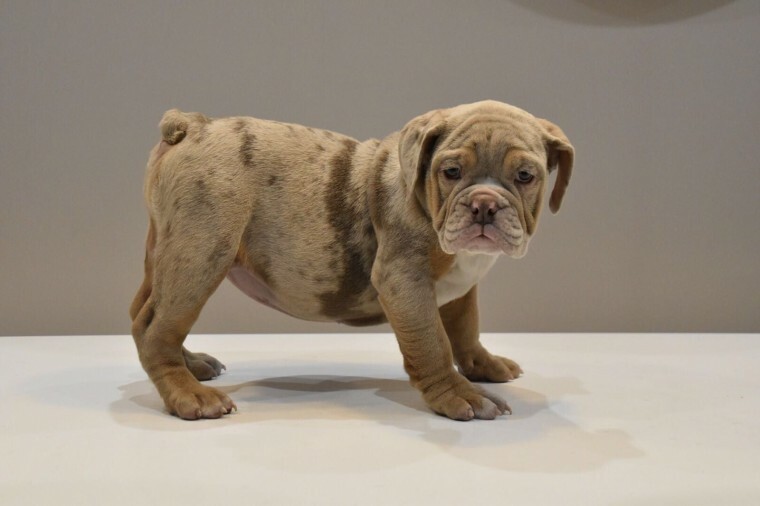 Sire is Wolverine,an American English Bulldog import of the highest quality, both health wise and pedigree. He is from Shrinkabull and Cowboy Bullys lines and is one amazing dog . The mum is a lilac tri kc English Bulldog who is a daughter of the very famous Kartel?? Game who is from Epic Bullys lines . These pups have it all , pedigree, health and very unique looking. These are definitely stand out in a crowd Bulldogs. ? ?rice varies according to pup?? Definitely not your average English Bulldog. Pups will come with appropriate age related injections, vet health checked etc.